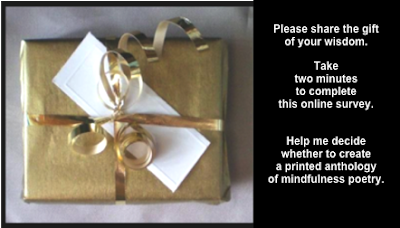 Many of you have been asking me for an anthology of mindfulness poetry. I’m considering it. Please take two minutes to take this survey. Help me decide whether or not to do such a book. No time right now? That’s okay. The survey will be up until January 1, 2016 (the end of A Year of Being Here). 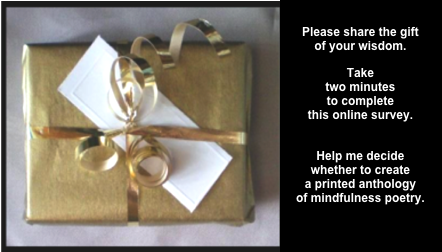 What a gift your input will be! Thank you!